It's been pretty windy with the spring wind starting to come in, but its learn to fish the gusts or don't fish. The wind is my friend... unless its blowing at 30 MPH. Casting and feeling the take can be difficult with the wind blowing your line and rod around but there is still good fishing to be had. 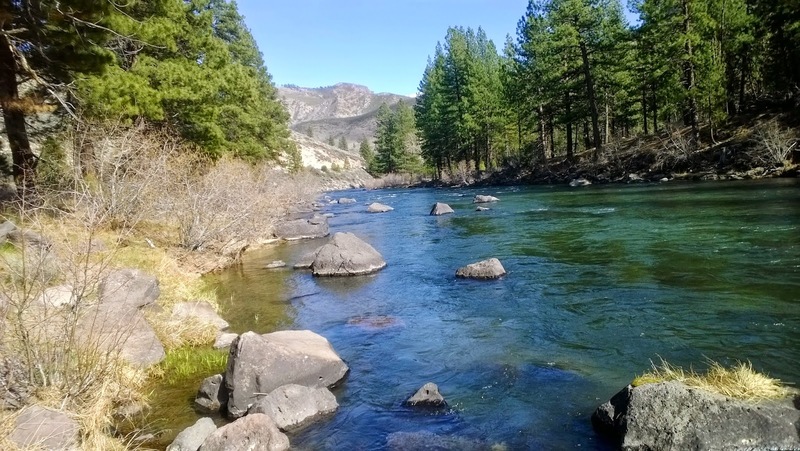 The Feather River, Horseshoe Lake, the Middle Fork of the Feather River, and the Truckee River were some of the places I spent this week fighting the winds. The steelhead are around but I think we need a weather system to mix up the water a bit. Thursday morning I hooked two. Swinging flies on my switch rod with a 10ft Rio spey sink tip was the name of the game for this trip. The first fish I hooked felt like a snag on the bottom but once it started moving... holy crap that's a fish. The fish came unhooked within 10 seconds so there's the first one lost, hopefully I can get more shots at fish today. The next fish I hooked made a good run and once it stopped its initial run I started to play the game. Please don't come off, please don't come off is what I kept telling myself as I started to strip in some line. The next thing you know the fish comes off. I let out a big sigh. Damn it... I stripped in the rest of my line and checked my flies to find a scale of the fish I lost. Haha. It was probably a snagged fish. The rest of the day I didn't get a single nibble. That's the name of the steelhead game folks. Manda wanted to take a walk in Upper Bidwell so I had some time to fish the lake. The day was windy and it made casting a bit of a challenge. I made a new fishing buddy while fish the lake that day. He looked like a 4th grader, was using a spinning rod, and would follow me everywhere I went. After I hooked a catfish he watched as I played it and landed it. His sister came over and took a picture of him with the fish I caught which I thought was funny. I gave him some tips about fishing the lake and left after Manda got back. Later in the week I decided to wet my line at the lake again. When the wind blows from the east, the fish bite the least. Not unless your using bait I guess. Using my awesome fly fishing senses I saw that the wind was blowing from the east that day and then it clicked, today is going to be tough one. Looking at the water on the surface, it kind of looked like the water didn't know where it wanted to go. I fished for a couple of hours and didn't get any takes. 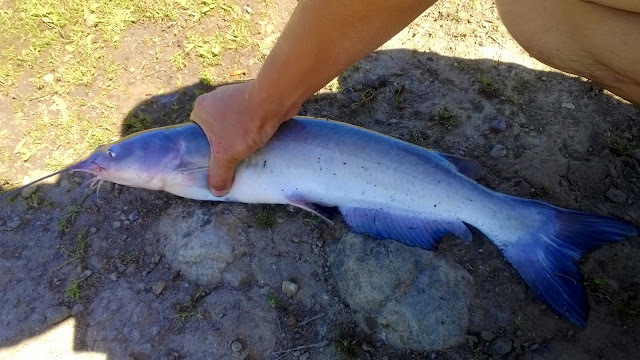 There were a few bait anglers out catching some cats but most of the fish they caught looked like the average cat out in there. I commend them for releasing the fish though. Once the fish learn to stop eating the liver bait, that's when they start getting big. The stretch between Portola and Blairsden opened this Saturday. Manda and I ventured to Clio to fish around the canyon. I've never fished this section so it was a good adventure. We hiked, piggybacked, and bushwhacked around the river but nothing looked fishy enough and the water was brown from tannin. I fished a little but overall it was just a good hike. The water level this year is bad low. The lower section which opens up the last Saturday of April should be looking a lot better though. I have a feeling it's going to be a short season this year. After the Middle Fork disappoint I saw a sign that said Truckee was about 43 miles away. After the okay from the girlfriend, we headed off towards Truckee. I've driven past the Truckee River before but never had the chance to fish it. Seeing the Truckee River again was like love at first sight and this time I finally had the chance to make my first move. The water is very unique and holds native browns, rainbows, and whitefish that all have the potential to get trophy size. 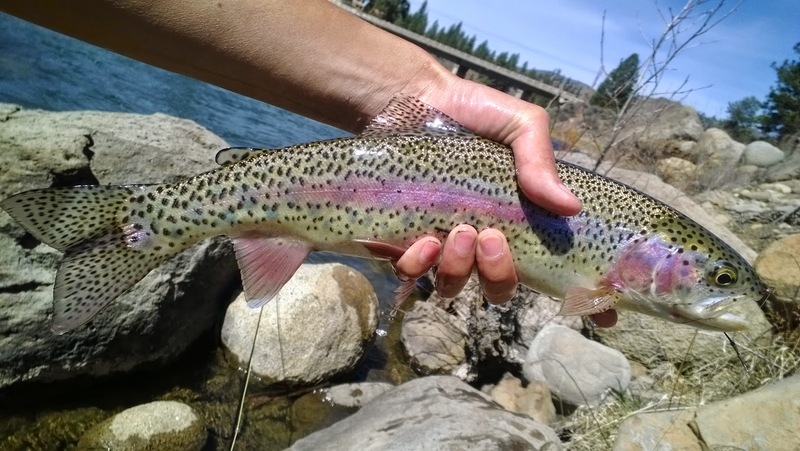 The Truckee's wild trophy sized fish are the products of a well-managed river. The river is open year around which means an endless opportunity to fish. The locals are very protective of the river and they should be with such an amazing fishery. We fished a little bit outside of Hirschdale. The water looked amazing, a good flow and green tint. The only downside of the day was that it was pretty windy. After high sticking tight lining a deep run I manage to land my fish Truckee fish. A beautiful 16'' trout. The rest of the day I targeting browns but wasn't able to hook any. After testing the waters I can truly say I fell in love with the Truckee. beautiful fish! 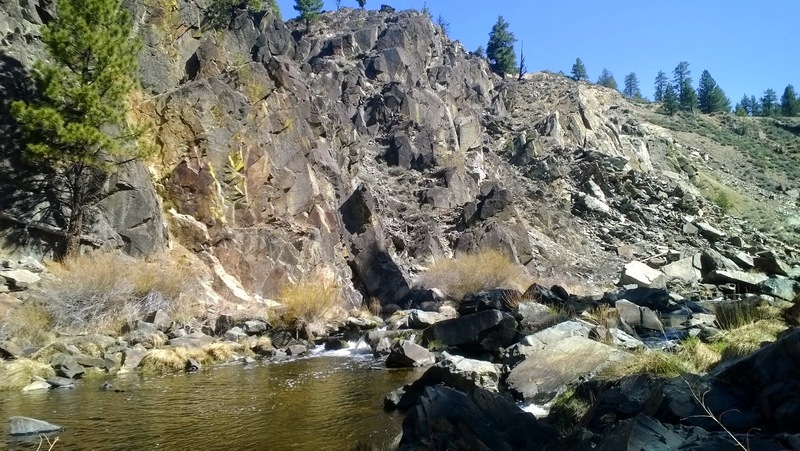 I went out to reno and was going to fish the truckee but ended up forgetting my license that trip! By far my new top favorite place to fish. I'm looking forward to fishing it some more. Right in my backyard, I'm hoping that my spots in town still hold fish. I'll be checking soon.